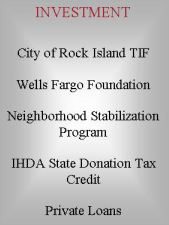 GROWTH’s efforts in Rock Island’s New Old Chicago Redevelopment area have included rehabilitation to existing units and new construction. Investment activity by GROWTH in this neighborhood exceeds $4.4 million when including the Douglas Park Place development. 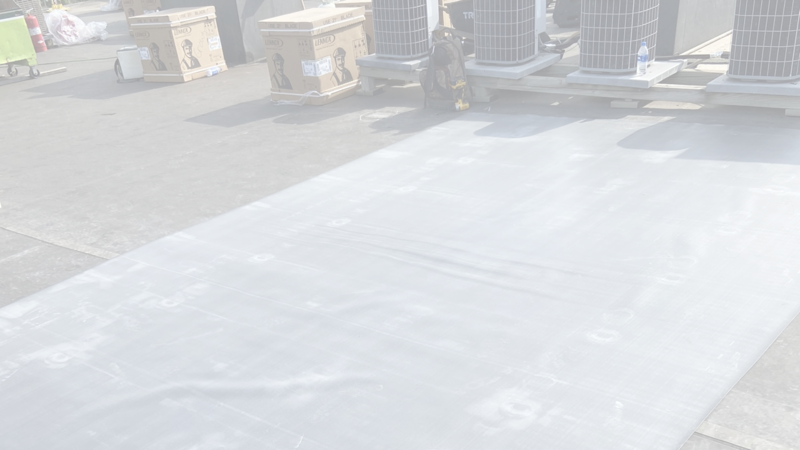 The homes impacted were clustered together to fill long-time vacant lots, while other dilapidated structures were taken down to make way for the new homes. 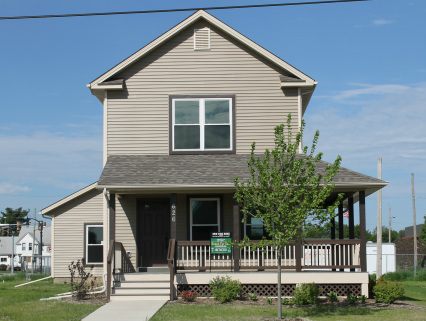 Six homes have been completed as of 2013 and additional new construction homes are anticipated. Construction of the homes is complimented by other nearby investment including a new neighborhood park and community center renovations. Top: Site prior to start of construction. 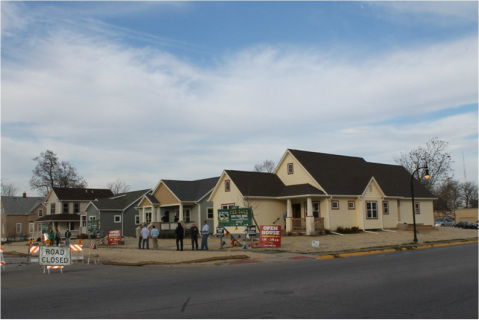 Above: Due to the success of the effort completed in 2012, an additional three new infill homes were built and completed in 2014. All three homes have since closed. Below: Completed new two-story unit in New Old Chicago. 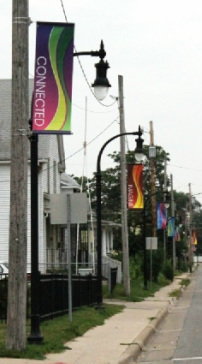 Below Right: New banners along 7th Avenue in the New Old Chicago neighborhood. 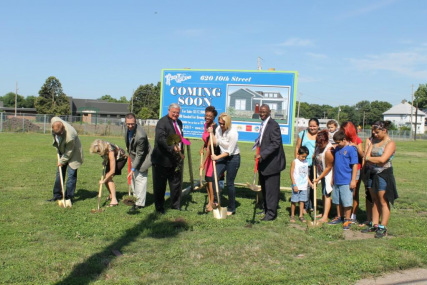 Groundbreaking of once vacant lots now represent new homeownership opportunities.